Simplify your trip to the San Diego Zoo with a bus rental from National Charter Bus San Diego. Located in Balboa Park, the San Diego Zoo is a must-do for school groups, tourists, and families looking to experience one of the top destinations in Southern California. 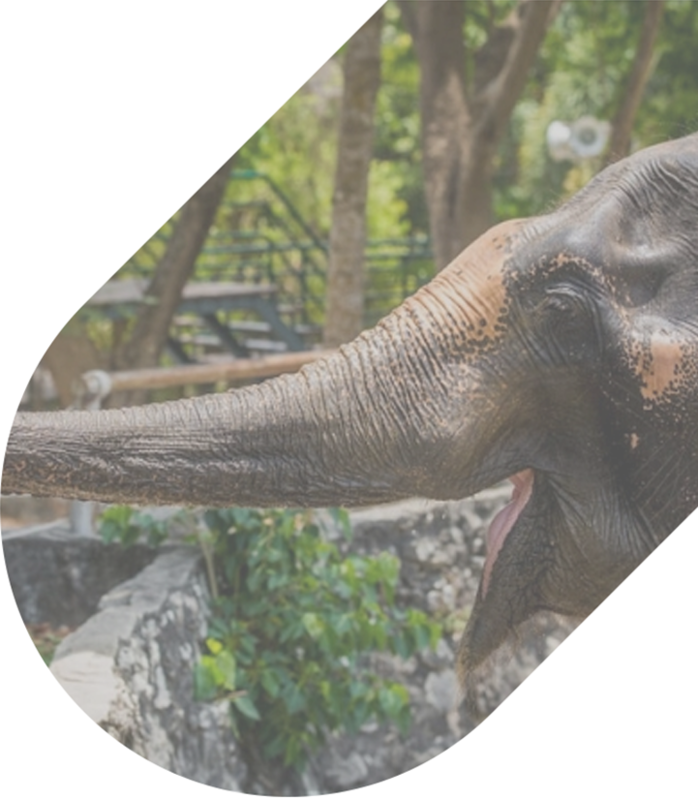 For easy transportation to the zoo and other San Diego attractions, look to National Charter Bus for simple bus rentals tailored to your itinerary and needs. Call us today at 619-344-0549 for a free, no-obligation quote! The San Diego Zoo is located in Balboa Park, which is one of the biggest tourist attractions in San Diego and a hub for numerous cultural institutions, including the San Diego Museum of Art, the San Diego Maritime Museum, and more! Because of its popularity, it can be difficult to find parking despite the fact that it is free for visitors. Huge crowds flock there all the time, making it difficult to navigate, especially when you’re part of a group. 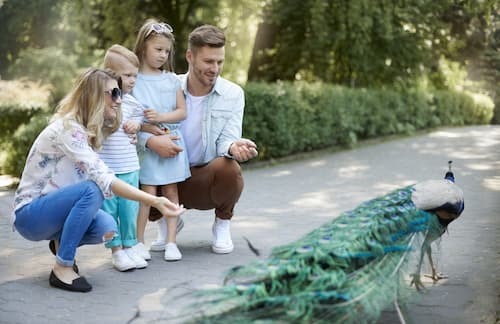 Simplify your travels to the San Diego Zoo and rent a bus with National Charter Bus San Diego, the leading resource for bus rentals in America’s Finest City. Just like the LA Metro, the San Diego Metropolitan Transit System is quite limited, offering travelers little to no flexibility when trying to plan a trip across San Diego. Though public transit is extensive in the downtown area, your group might struggle if you’re planning to explore other attractions, stay in a quaint suburb, or visit hole-in-the-wall restaurants that aren’t easily reachable by trolley. Banish all of these worries and book a bus with National Charter Bus. We only match you with buses that are stocked with the latest safety features, and we consistently ensure that your group gets access to elite amenities such as reclining seats, spacious luggage bays, climate-controlled interiors, overhead storage bins, individual power outlets, and entertainment and PA systems. Upgrade your family vacation, improve the logistics of your school trip, or streamline your private group outing with a bus chartered through our services. Our team is available 24 hours a day to help you find the best San Diego charter bus rental for your group’s visit to the San Diego Zoo. With our stellar customer service, instant quotes, and wide-ranging network of operators and drivers, National Charter Bus is the best choice for your travels, especially if you’re visiting from far-away locations such as Las Vegas, San Francisco, Phoenix, or even Seattle. Let us take transportation off your hands with a bus rental tailored just for your group. When planning a visit to the San Diego Zoo, you might get overwhelmed with the wealth of things to do! Aside from looking at the cute animals wandering around their naturalistic habitats, you can look forward to the following experiences when you visit the San Diego Zoo. A guided bus tour is the perfect way to jumpstart your zoo adventure. 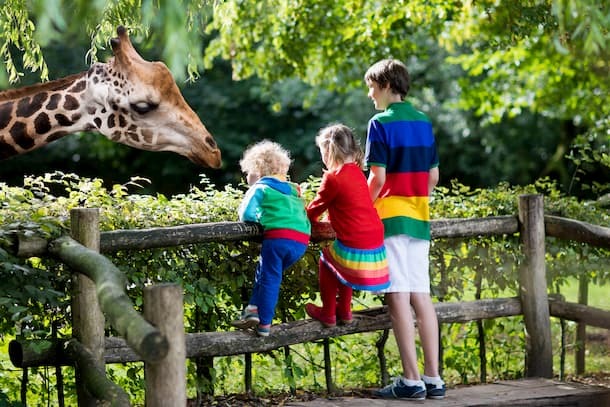 Sit with other travelers in a double-decker as you take a tour through the zoo’s conservatories and watch the koalas, giraffes, and pandas from the comfort of your seat. Don’t miss this charming ride! Enjoy the beauty of Balboa Park while relaxing on this boutique miniature train. All riders will be stamped, so your group will be able to re-enter that same day. Enjoy a scenic overview of the zoo when you ride in the San Diego Zoo’s signature aerial tram. The cabin is small, so your group might have to split, but the view will certainly be worth it. Not looking forward to walking? Take the Kangaroo Bus to craft your own hop-on-hop-off adventure across four stops. Instead of walking the entire length of the zoo, take a break from the heat and let the Kangaroo Bus shuttle you around. With a different showing every season, this theater is a surefire way to enjoy a family-friendly documentary or film after seeing some of your favorite critters face-to-face. The last show is at 5 PM, which makes it the perfect way to end your day at the zoo. Though the zoo offers plenty of dining options for visitors, these restaurants often offer exorbitant prices, making them a less-than-preferable choice for groups trying to stay within a budget. Not to worry; with a private bus at your side, you can bring your own meals on your spacious overhead storage or drive away from the zoo to a nearby restaurant. 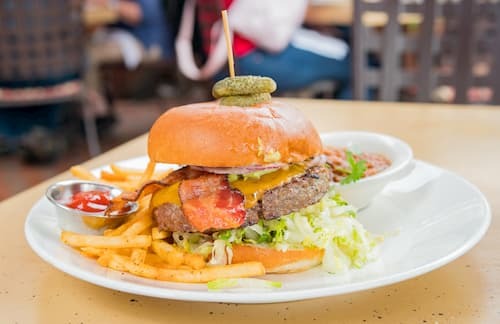 Since the area around Balboa Park can get pricey, our team recommends going to a restaurant in smaller neighborhoods such as Logan Heights or Cherokee Point. Don’t be afraid of leaving the zoo for fear of getting denied at the entrance. The San Diego Zoo offers same-day re-admittance for free. Ensure that everyone has their ticket at hand after returning from your meal! Ready to get started on your San Diego Zoo adventure? Call the National Charter Bus team at 619-344-0549 to start the booking process for a stress-free, fun-filled zoo trip. 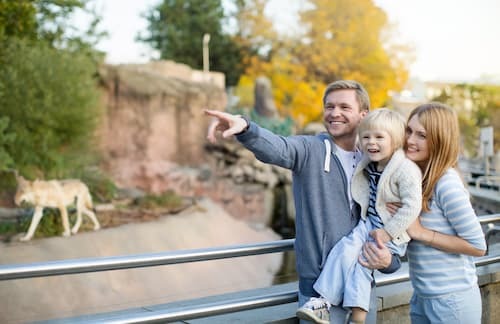 Whether you’re a school group, a gathering of family and friends, or a corporate group looking to enjoy all that the zoo has to offer, National Charter Bus is ready to match you with the best bus for your trip. Call us today for a no-cost, personalized quote!